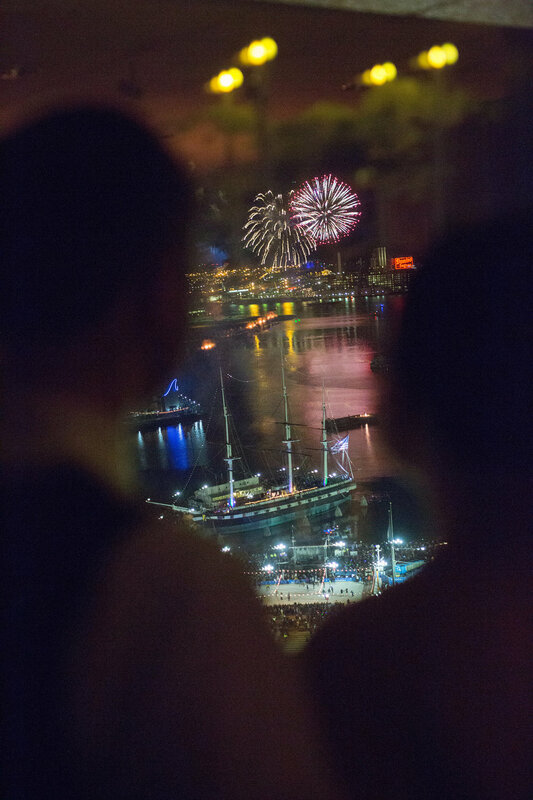 Watching the Baltimore Inner Harbor fireworks on New Year's Eve at Sasha and Randall's Center Club wedding is one of my favorite wedding planner memories to date. The fact that the Center Club is located on the 16th floor of a building directly overlooking the harbor? Perfection. 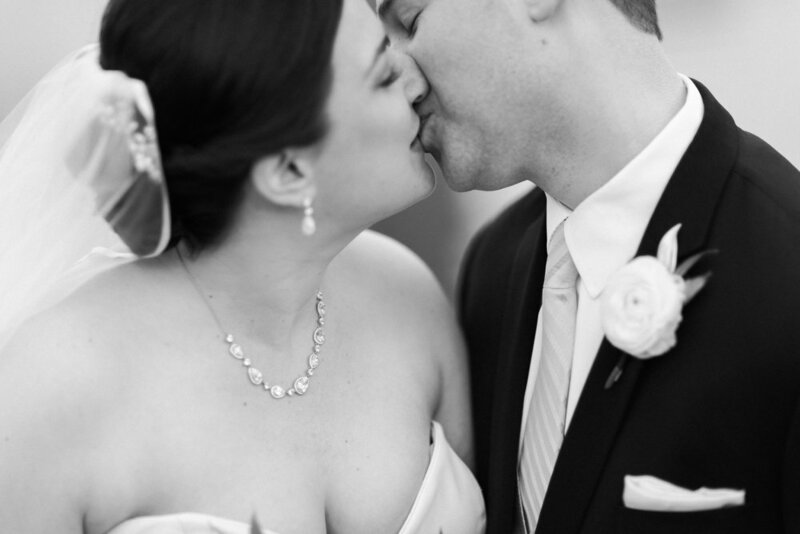 Sasha and Randall are truly one of the sweetest couples I have had the pleasure of working with. 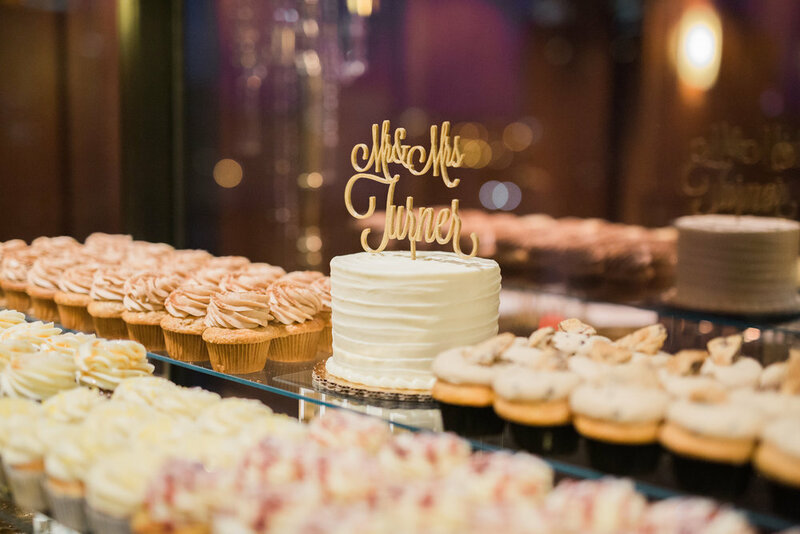 Throughout the planning process they were kind and considerate of each other when making decisions, and were so genuinely excited in the months leading up to their wedding. 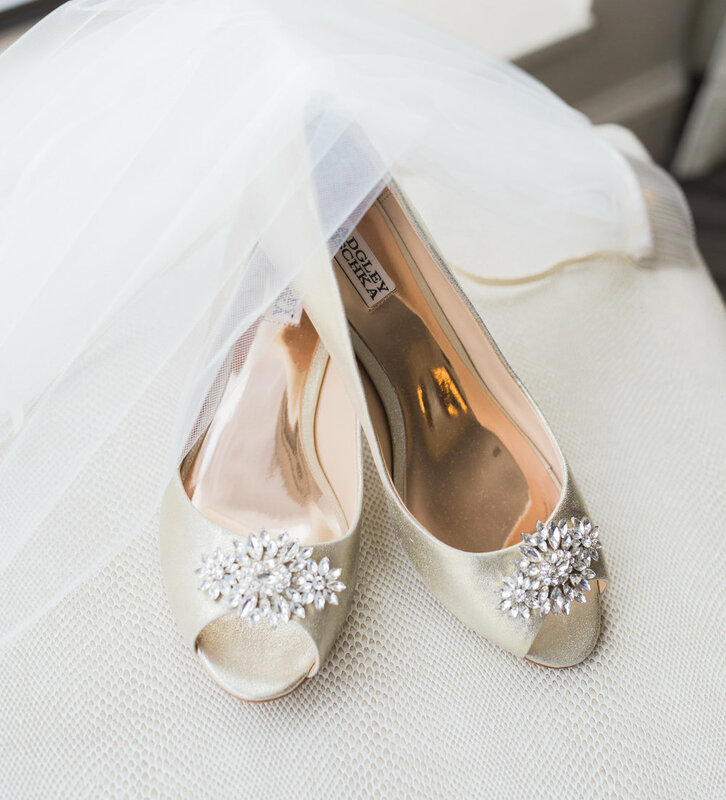 Sasha is currently in school in Boston but is originally from Maryland, so a hometown wedding was a sentimental and meaningful fit for her and Randall's festive celebration. 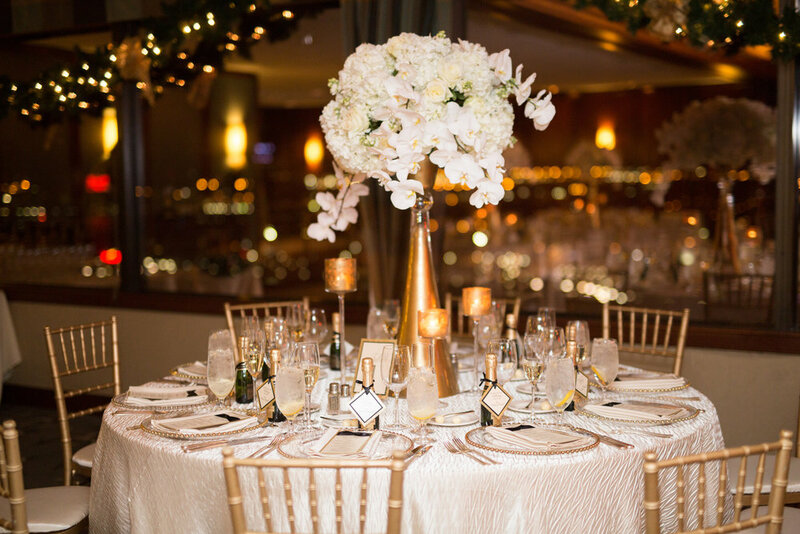 We provided Month-of Coordination for this downtown Baltimore wedding, and the color palette of blush, gold, and black, was perfectly suited for a formal, black tie wedding. 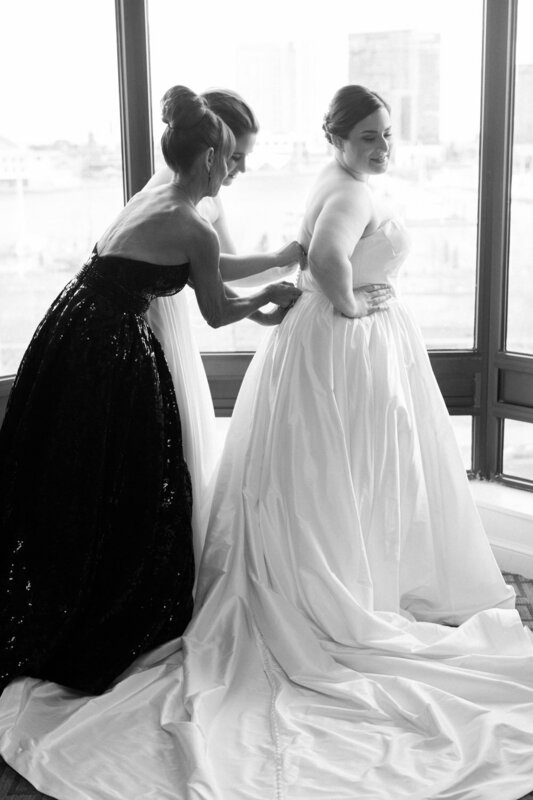 Sasha and her bridesmaids did their hair and makeup with Up Do's for I Do's at the Royal Sonesta Harbor Court Hotel the morning of the wedding, and then Randall came to the hotel for their first look! I am such a huge advocate of first looks, by the way! They provide so much extra time for photos during daylight hours - instead of squeezing bride and groom portraits into a 15-20 minute time frame at the end of the cocktail hour, a first look allows photographers to spend a solid 30-45 minutes with a couple. This allows the photographer the time to calmly (and unhurriedly!) explore multiple locations and poses with their couple, resulting in a more diverse and memorable album of images after the wedding day. For Sasha and Randall's wedding, a first look made even more sense as their ceremony was scheduled for 7:00 p.m. 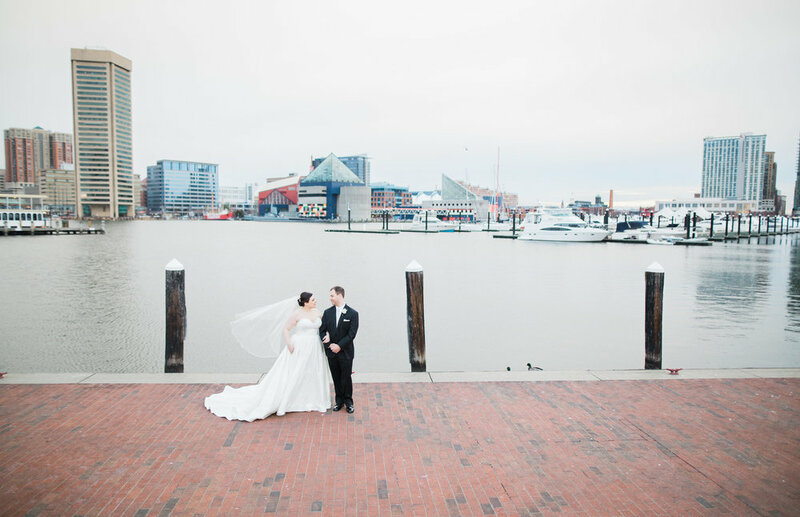 If they had waited until the end of the ceremony for photos, ALL of their portraits would have been taken indoors, after sundown, and they would have missed out on taking beautiful, natural light, film images by the Baltimore harbor with Focus Bay Photography!